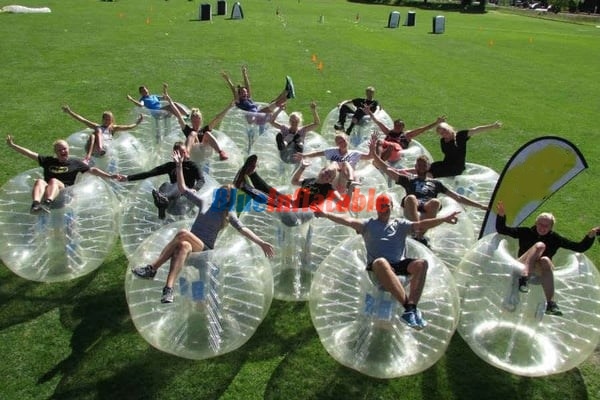 Bubble Soccer is a crazy yet entertaining type of sport in which participants wear inflatable bubbles on top of their heads. 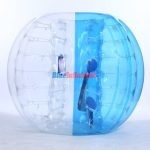 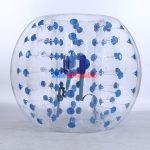 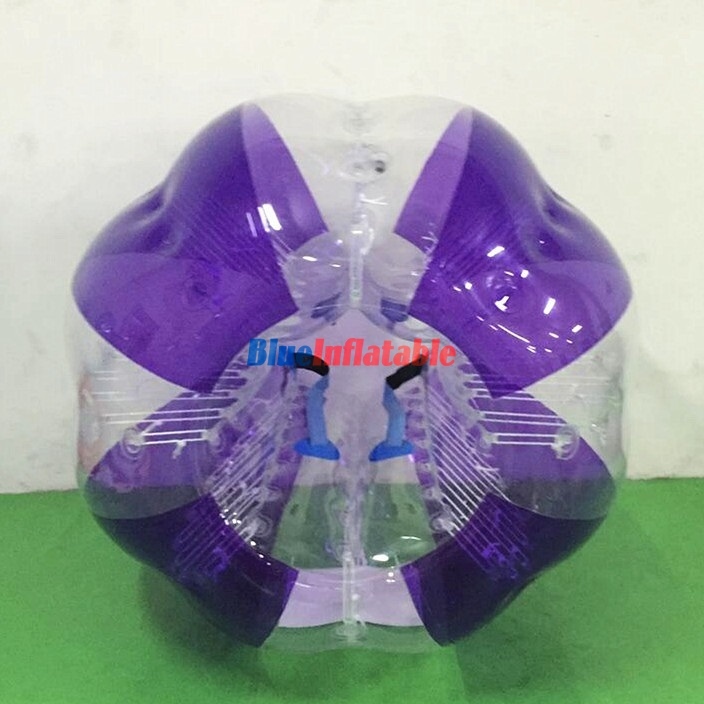 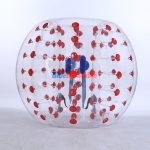 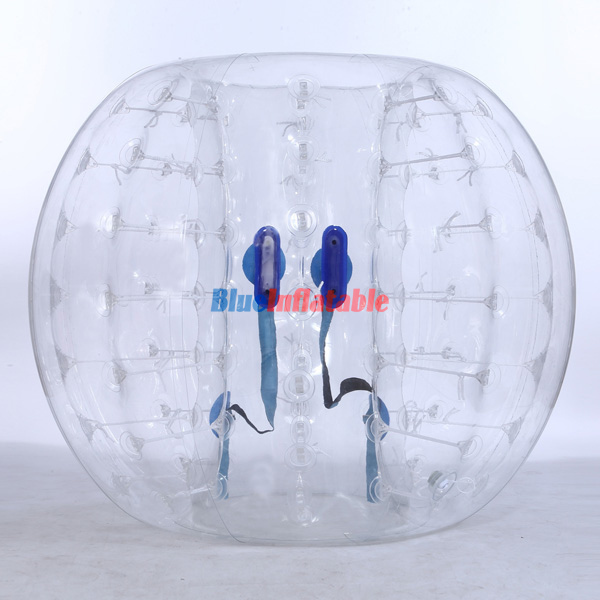 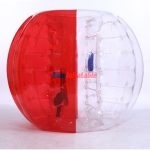 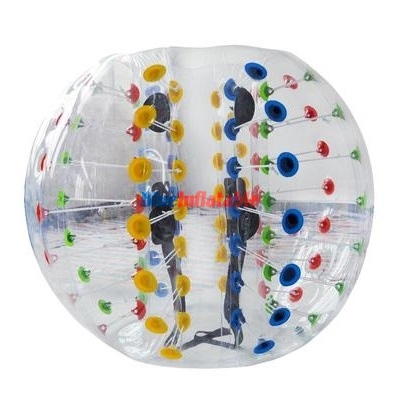 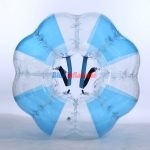 The inflatable bubble covers the entire upper body up to the knees, leaving out the legs which are used for support, balance and playing the soccer ball. 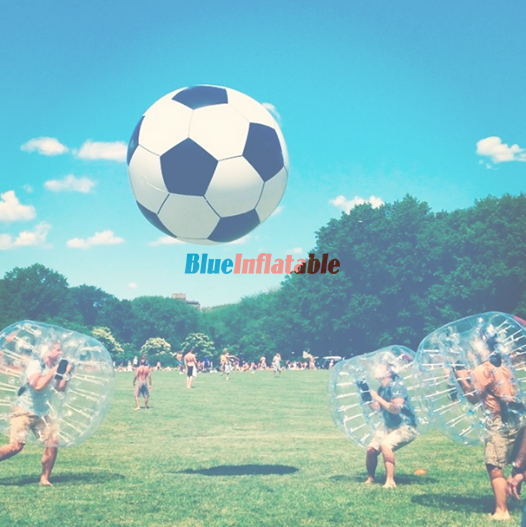 This sport is centered more on physique and foul play, where players knock and bump into their opponents.